Luminosity, Evil Geniuses, Mindfreak, and Fnatic will face off this weekend in Columbus. It’s been a little over a month since Splyce stunned the Call of Duty community by winning the CoD World League Global Pro League Stage One Playoffs on May 28. Now, the stage is set for the second season of the CWL GPL—with the best 16 Call of Duty teams in the world competing for their share of $700,000. Since all of the teams in this season of the CWL GPL have already qualified for the 2017 Call of Duty World League Championship, these squads are fighting for one of eight spots in the $500,000 CWL GPL Stage Two Playoffs, taking place July 27 to 30. For now, though, it’s time to focus on the regular season for Stage Two, which kicks off with Group Red this weekend (June 30 to July 2) at the MLG Arena in Columbus, Ohio. Over the next four weeks, four different teams will compete in double round robin group play. Each team will play against the other squads twice for a total of six matches. Once all of the matches have been completed, the top two teams in each group will qualify for the Stage Two Playoffs. Luminosity enters Stage Two as the best team in Call of Duty. After coming in second at the CWL GPL Stage One Playoffs, Luminosity made it to the grand finals once again at the CWL Anaheim Open, where they defeated Splyce to take home the title. Luminosity is the clear favorite to take first in this group—especially if Octane continues to deliver MVP-like performances. Following an eighth place finish at the Stage One Playoffs, Evil Geniuses made a roster change to replace Jeremy “StuDyy” Astacio with Parasite—and it clearly worked, as EG placed top six at the CWL Anaheim Open. It will be interesting to see if EG’s new lineup can continue their strong play, with many fans expecting them to place second in this group behind Luminosity. As the only APAC representative in the CWL GPL, Mindfreak carries the weight of a nation on their shoulders. The team also made a roster change following their top 12 finish in Stage One, but it hasn’t paid any dividends yet as they placed top 20 at the CWL Anaheim Open earlier this month. All eyes will be on Denz to see if he can help the Aussies qualify for the Stage Two Playoffs. Fnatic came in last place in their group in the first season of the CWL GPL, but requalified for Stage Two at the CWL Relegation Tournament on June 15. The Europeans finished top 16 at CWL Anaheim and third at the CWL Sheffield Open last week, so they’re well practiced heading into this weekend’s competition. 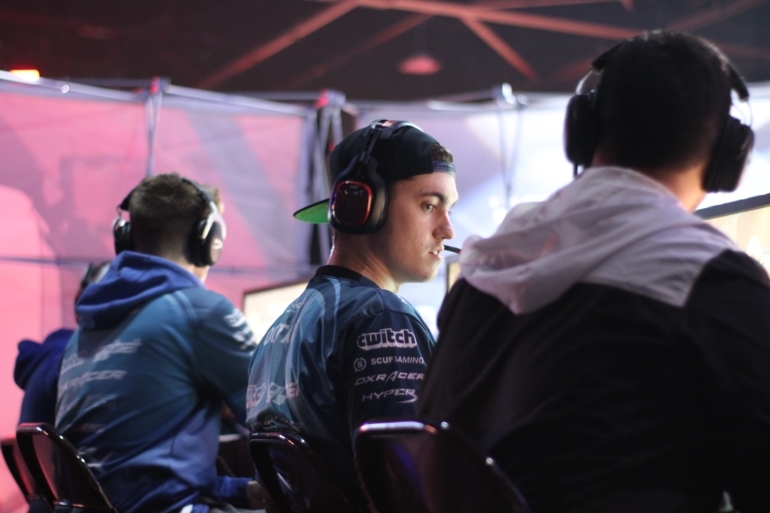 Fnatic will look to the veteran leadership of Tommey to help the team pull off some upsets in Columbus. All CWL GPL matches can be watched on MLG.tv’s Enhanced Viewer Experience, which now includes Featured POV Streams of individual players. Below, you can find the times for all of the matches that have already been scheduled for this weekend, as well as the game modes and maps being played in each series. Will Luminosity dominate this group as expected, or will one of the other three teams shock the Call of Duty community by taking first place? We’ll find out when matches start tomorrow afternoon.